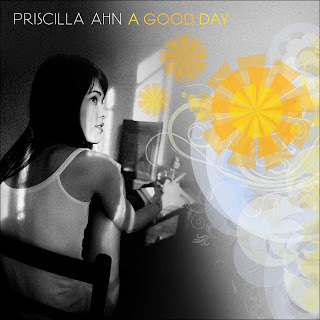 Lyrical Venus » Win A Signed Copy of Priscilla Ahn’s New CD! 07.23Win A Signed Copy of Priscilla Ahn’s New CD! If you are a regular reader, you know that I’m a big fan of Priscilla, and even got an exclusive email interview with her a few weeks back. Well, I’m happy to announce that for the first ever contest on this blog I’ve got a *signed* copy of A Good Day to give away! 2) Send an email to LyricalVenus at gmail dot com so I can contact you if you win! Even if you sign in with your email to comment, Blogger doesn’t show me what it is, so this step is really important. If I don’t have your email I’ll have no way to get a hold of you and I’ll have to give your signed Priscilla CD to someone else! How sad would you be if that happened? Just tell me the name you used to comment with, and don’t worry, I won’t use your email for anything else other than contacting you if you win. And if you don’t win, you can always download A Good Day on iTunes! A good day, for me, is when I can leisurely knit from the morning to evening, while being outside, watching a movie or good tv show on a big screen (like movie screen). I’d like to listen to the CD while eating fish and drinking lime juice! a good day for me is a beautiful song lingering in the background. while i work in my gorgeous photo studio preparing for my next exhibit. in a place that contains my own garden, stream, summer cottage and summer kitchen. Satisfaction! A good day for me would be listening to a live performance by an artist or band that I didn’t know about before and having them blow me away with their fantastic music. A good day is sitting deep in the woods sitting along a little creek with a fishing pole listening to nothing but nature at its best. Good day: get up at 8, pancakes and coffee, write a song, it rains in the afternoon while I have a nap, and going to a gig one of my friends is playing and hanging out. Wooohoo! 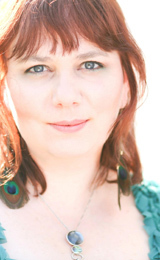 great to read your blog heather – love what you are doing!!! A good day for me is doing somet’hing like this; helping out a friend. A good day is seeing other friends names and photos that I havn’t seen in ages. Anonymous, thanks for the comment! Send me an email to LyricalVenus (at) gmail (dot) com so I know who you are and can enter you in the contest! A good day would be spent with family and friends who are currently spread all over the world. They would be here for my wedding to my dream man… yeah that would be a good day! Some of the best days of my life were days when I swam with wild dolphins. I’ve had the great fortune to do this several times … off the coast in Florida, in the Bahamas and Hawaii. When those days are capped by watching the sun set into the sea all the better. Yay! I can make another comment before the end of the deadline! I am so glad that I got to reconnect with you through blogging! You are right – its totally crazy that we live in the same town – and see each other more in cyberspace than Fairfield! Glad that I get to feel the lyrical venus vibe when I get to come onto your blog – I just gave you an award on my blog!!! A good day for me is so many things – a day spent with my man having fun and not having to meet a deadline; a day when we can eat all delicious, freshly cooked food and I don’t have to do any cleaning and yet the place is spotless; when everyone you meet is nice; when you get a free pizza from the best pizzeria in town; a day when there are NO computer problems; oh, there are just so many more!